. 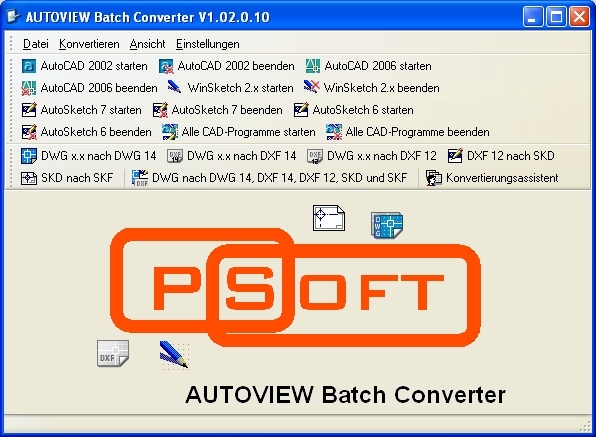 . . PS-Soft Development Page - AutoVIEW Batch Converter screenshots . . . The Configuration Viewer is used for checking if all the encapsuled applications are operating normally and if all the handles are fetched correcly. It was a big help while debugging too. 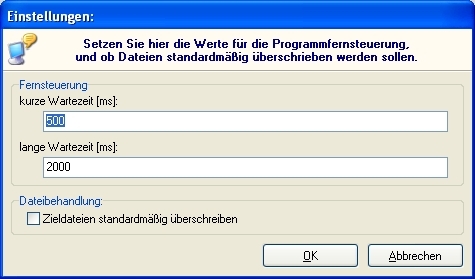 It's necessary to wait between sending messages to another application using the Windows API. For file operations (like loading / saving files) more time is needed. 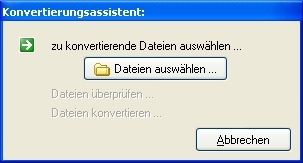 files or complete folders including the subfolders can be added using the buttons on the dialog form. 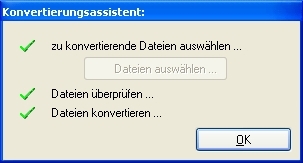 For better integration in Windows the dialog supports drag & drop. 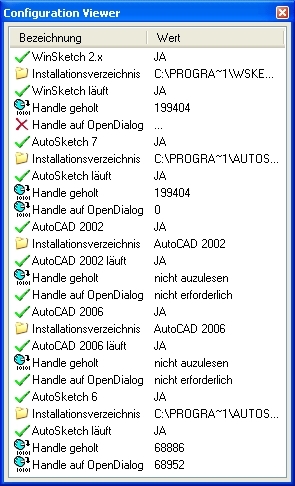 WinSketch for Windows is very old (but still in use) and therefore can only handle 8.3 file names. 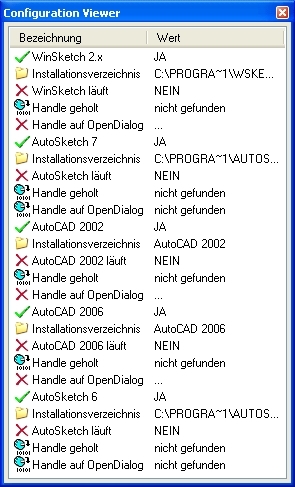 The dialog shows filenames with conflicts. all filenames are OK now for WinSketch. Conversion may go on. Shows the Configuration Viewer with all the needed applications running. All the Handles are listet in the Viewer. last update: 2010-11-16 - 19:41:00. 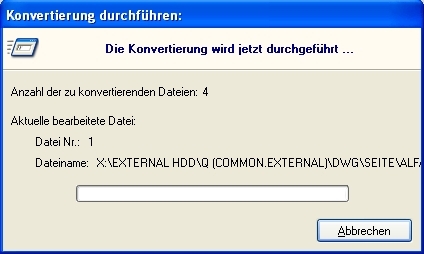 The batch converter screenshots were visited 2567 times.